When will be Behind Closed Doors next episode air date? Is Behind Closed Doors renewed or cancelled? Where to countdown Behind Closed Doors air dates? Is Behind Closed Doors worth watching? Behind Closed Doors gives viewers an intimate look at celebrities and will explore the life and legacy of these famous people. Hosted by correspondent and reporter Natalie Morales of NBC News' Today and capitalizing on the vast offerings of the NBC News historical archives, each documentary will feature interviews with historians, biographers and contemporaries. She was the fairytale princess and perhaps the most beloved woman not only in England…but in the world. Princess Diana was the People's Princess and the world was her stage. On July 29, 1981, Lady Diana Spencer and Prince Charles took their vows as three quarters of a billion people around the world who believed in fairytales watched. Diana was just 20 years old. The prince was 32. And within four years, the royal couple produced an heir and a spare to the British throne. But as early as the honeymoon, there were reports of trouble in paradise. Charles could not compete with Diana's glamour and innate ability to connect with the commoner. He soon resumed his affair with his lover, Camilla Parker Bowles, from his bachelor days and Diana took lovers of her own. The War of the Waleses had begun and it grew ugly. By 1996, the Queen ordered a divorce pronto! But, though she was no longer royalty, Diana remained "The Queen of People's Hearts"…until the unimaginable. On August 31, 1997, the world froze as news broke that Princess Diana was killed in a horrific car crash that took her life along with the life of her lover, Dodi Fayed, the heir to Harrods and son of a billionaire, as they tried to elude the paparazzi. Hollywood's #1 Entertainment Journalist Nancy O'Dell shares her memories of what it was like to be thrown on a plane within 24 hours of the accident to cover what she calls to this day, the "biggest story" of her career. She recounts the crowds that descended upon London, the outcry when the Monarchy didn't rush back from their summer holiday for five days, and the image of Diana's two young sons walking behind their mother's casket as crowds threw flowers at the funeral procession calling it, "one of the toughest jobs ever that I've had to do." Robin Williams: Behind Closed Doors gives viewers an intimate look at his life from his childhood in the suburbs of Chicago to small comedy clubs in Los Angeles. From his breakthrough role on the TV show Happy Days as Mork from Ork to his big screen triumphs. While he may have been one of the funniest people in Hollywood, beneath the joy Williams waged a battle with inner demons. Robin Williams: Behind Closed Doors is hosted by Natalie Morales, West Coast anchor of NBC News' TODAY. She fought her way out of Texas and into the spotlight, using the assets God and her surgeons gave her to follow in the footsteps of her idol, Marilyn Monroe. Natalie Morales recounts Anna Nicole Smith's smashing success, and the high price she had to pay for it. Go inside the spectacular rise and devastating fall of a pop culture icon on Anna Nicole Smith: Behind Closed Doors. At 25, Joanne Rowling had the idea that would change her life…months later, her mother suddenly dies and Rowling's world falls apart. Against incredible odds, J.K. Rowling transforms herself from a destitute and depressed single mother to the world's first billionaire author. 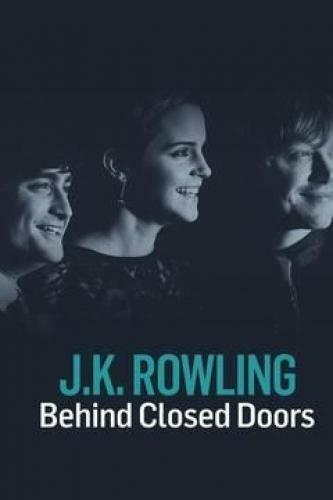 In JK Rowling: Behind Closed Doors, meet the woman who created the $25 billion Harry Potter franchise – and inspired a generation to read. Behind Closed Doors next episode air date provides TVMaze for you. EpisoDate.com is your TV show guide to Countdown Behind Closed Doors Episode Air Dates and to stay in touch with Behind Closed Doors next episode Air Date and your others favorite TV Shows. Add the shows you like to a "Watchlist" and let the site take it from there.